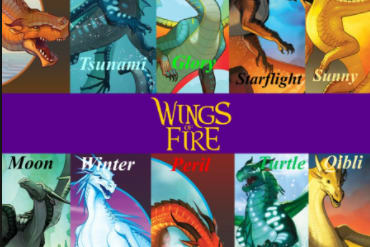 Wings of Fire Quiz! Which dragon are you? You are a RainWing! You're tough and you don't care what anybody else tells you about RainWings! You're not lazy! You're very energetic! Also, you are the smartest person out there! You are independent and hard-working. You like to be alone. You hope that one day, you'll have powers. You are aggressive when needed and like staying up late. Hope you like sleeping in a cave! You love the water! Once you get in, no one can pull you out! You love surfing on the waves, and diving deep! You love things that glow, and you hate being trapped. You love your friends, but you admit to them that you're more likely to survive because they won't injure anyone. You are very aggressive, and love action and drama. You love your closest friend more than anything, if they like someone else, it does not make you happy. You love fire, and using it! You are sassy like no other. With your kind loving for friends, you still have the power in you to challenge any opponent. You are icey to the touch. You decline anything happy and love being around other people. You love ice! It warms your mouth when you eat it, it cools your fingers when you touch it. Being made of ice is right for you! You are happy and preppy all the time! Everything is exciting and beautiful! You injure living things and use your poisonous barb rarely. You love your scales, fashion! If anyone underestimate you, you show them what you've got! You are loving and caring even if it depends on your life! You don't want to hurt anybody. You don't like being alone. You like company even if they might kill you. You wish you could be fireproof and from a blood-red egg, who knows, maybe you are. Which dragon are you? RainWing, NightWing, SeaWing, SkyWing, IceWing, SandWing or MudWing.